Europe’s Most Scenic Views on A Train Journey – Europe has some of the world’s most breathtaking scenery! It has inspired fairy tales and epic poems. It has provoked paintings and plays. The scenic views of Europe are not only absolutely stunning, but they have brought about some of the world’s most beautiful works of art! Taking in all of the majestic landscapes in Europe may seem like a daunting task. Racing from Croatia to the beaches of Spain, to the vineyards in Italy and the Black Forest of Germany, there’s just SO MUCH to see! What better way to take it all in than from the luxury of a train holiday through Europe! See the Alps, bask in the sun of the South of France, travel all through Europe into Asia, all from the comfort of your train car! In order to get as much in as possible, you’ll need an extensive guide, an elaborate schedule, and a detailed list of accommodations. Find a holiday that is pre-booked, pre-organized, and put together just for you! With your holiday arranged for you, there’s no reason to worry about all the little details! You can simply sit back, relax, and take in the sights. Here are some of the best train journeys you can take through Europe in order to see some of these amazing scenic views! Taking in the spectacular views of Europe wouldn’t be complete without seeing the majesty that is the Swiss Alps! Enjoy the fine foods of Switzerland, the brilliant culture, the wonderful people, and of course, the most awe-inspiring natural views! Your grand tour of the many unbelievably gorgeous Swiss landscapes will take you on an eleven-day adventure! Travel from London to Interlaken, where you can explore the Bernese Oberland! You can even take a railway up to the top of the peaks with the Jungfrau railway lines! After Interlaken, you’ll make your way through to Montreux with the Golden Pass! The Swiss Riviera awaits you and you’ll spend a day or two in the Lake Geneva area before heading off to Zermatt and the picturesque Swiss Alps! 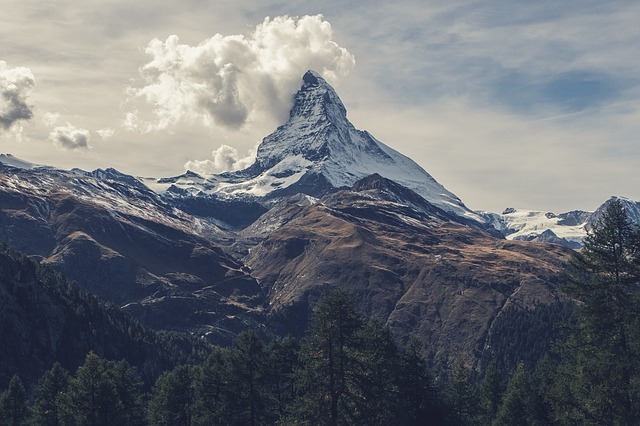 In Zermatt you can even board the Gornergrat Mountain railway to ride up close and personal to the MATTERHORN! Once your time in Zermatt is complete, you’ll travel through the mountains to St. Moritz on the Glacier Express! The practically perfect scenes as you ride alongside the Rhône will make the trip that much more splendid! From St. Moritz you’ll travel to Lugano past Lake Como, then on to Ticino! Enjoy the Italian border before you head off to Lucerne! Lucerne is your final stop on this spectacular journey before heading back to London. The grand tour of Switzerland will take your breath away with its beauty! Upgrade your journey to include hotels, train seat assignments, restaurants, or even extending your stay in certain cities. Prices vary depending upon seasonal travels, personal upgrades, and preferences. Travel Documentation includes tickets for the railways, hotel vouchers, restaurant recommendations, and other necessary documents. One of the most memorable places you will see in your tour of European scenic views will be the exquisite sights of Provence, France! Take in the beauty of the rolling Lavender Fields, the olive groves, and even the rocky outcrops in this amazing French countryside! When it comes to traveling in style, booking a tour with Tailor Made Rail will give you everything you need for a memorable holiday! You’ll have accommodations included with top of the line hotels in every city on your Provence Tour! Your holiday will take you from Avignon, to Aix-en-Provence, all the while enjoying a voyage tailored to your needs! Start your journey in Avignon! Here you’ll spend a three full days taking in the city tours, enjoying daily excursions to hilltop villages like Gordes, and even seeing historical landmarks like the Pont du Gard! You can even include a wine tasting tour to local vineyards! On the fifth day of your tour you’ll travel to Aix-En-Provence, where you’ll stay at the luxurious Grand Hotel Roi René! Learn about the history of this city that has been around since 123 BC! Stop in and see the studio of Paul Cezanne, one of France’s most celebrated artists! You can even take a day trip to Camargue, where you can relish the beauty of Western Europe’s largest river basin in person! Home to flamingos, wild bulls, and indigenous white horses! Once you see the splendor in Provence, going home on the eighth day will seem so tragic! 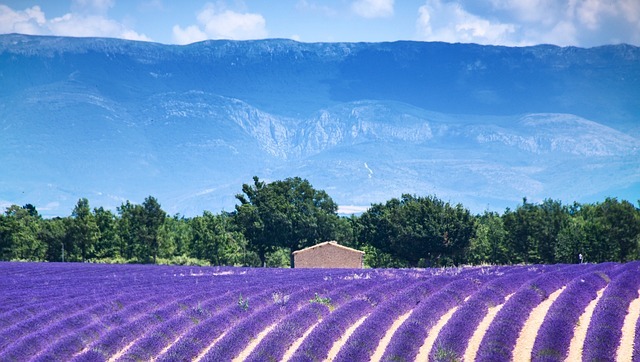 Upgrade your holiday at anytime for extended stays in Provence. Also available are upgrades to hotels and train seats. Seasonal travel and personal requests will impact prices. Hotel de l’Horloge in Avignon and the Grand Hotel Roi-René are both four star hotels! You can extend your holiday to include a seven day trip through the French Riviera: Nice and Cannes! 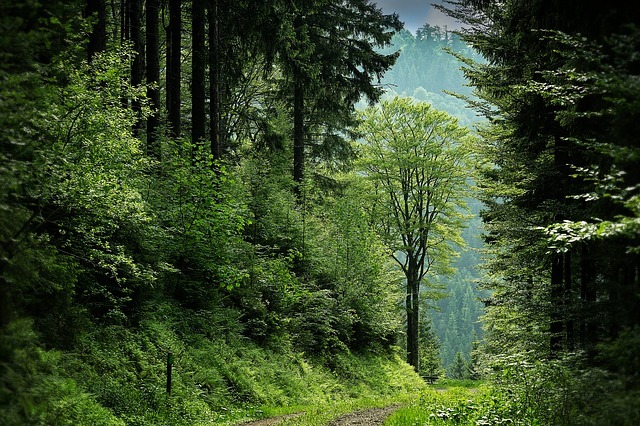 Travel to the birthplace of so many famous fairytales as you make your way to the unimaginably inspiring Black Forest! 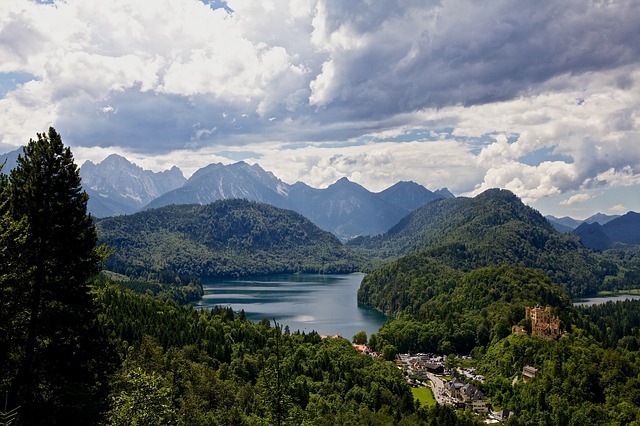 Here you’ll find yourself immersed in a rich culture of stories, history, and Cuckoos, all while taking in the beautiful sights Germany has to offer! From London into Brussels, then from Brussels into the stunning Freiburg, you’ll start your epic holiday in a sunny, medieval Old Town! 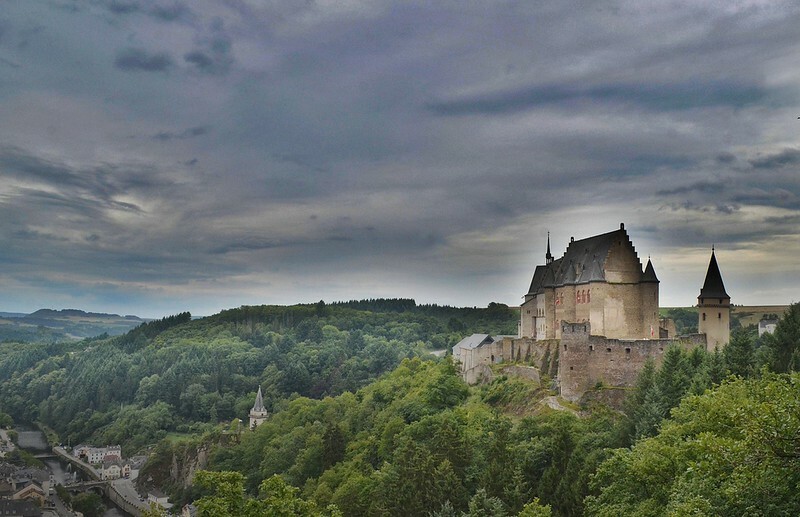 The Gothic architecture will then transition to the heavily wooded slopes of the Black Forest. Make sure to really take in the local histories, stories, and amazing craftsmanship and artistry of this strikingly exquisite region! Days four and five you will find yourself in the city of Heidelberg on the Neckar River. The Heidelberg Castle on top of Mt Königstuhl will give you all of the fairytale feelings and you can learn some incredible and interesting things! Wrap yourself up in the fairytale experience as you tour through some of the most impressive scenic areas in all of Germany! On day six you will go from the remarkable fairytale landscape of Southern Germany into the busy city of Frankfurt. You can get out and see the beautiful city on your own, or sign up for guided tours. Then for two days you’ll make your way to the city of Göttingen! Leaving Göttingen, you will find yourself watching the handsome landscape of the Rhine whirl past as you make your way back to London! What an amazing holiday spent absorbing the fantastic and alluring beauty of the Black Forest! Extend your holiday to include a train journey all the way across Germany to Berlin! Upgrades are available to hotel, train seats, and any other addition like an extension in each city. Reach out for local tours of the Black Forest area and in the major city stops. If fairy tales and mountains and sprawling hillsides aren’t your cup of tea, then maybe you’ll enjoy some of the world’s most spectacular beaches! 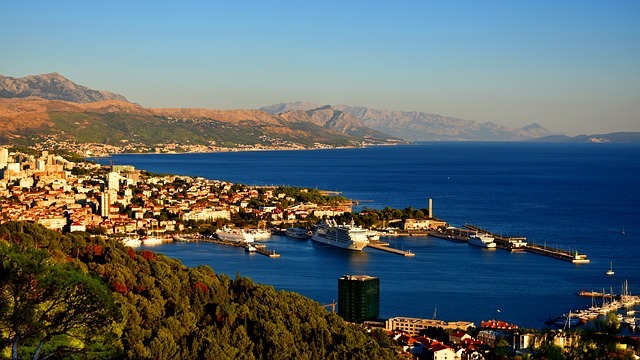 Traveling down the sunny coastline of Croatia along the Adriatic Sea will let you take in the sun-filled sights of the Mediterranean! Day one will find you traveling from London to Turin! Travel across France and then the Italian border into Turin. Then day two you will travel all the way from Turin’s Porta Nuova station to Ljubljana through Venice (where you’ll get to stop for lunch)! You’ll almost feel overwhelmed with the opulence and beauty of these train rides! Once you find your way to Zagreb, you’ll finally set your sights on the richness and luxuriousness of the Croatian coast! In Zagreb you can take in a few hours of cultures and traditions, before you make your way to the Dalmatia region and the city of Split. Here you will bask in the sun and sea breezes! After a few days in Split, with its medieval influences and Roman era passages, you can travel to the island of Hvar! You can even include a full boating day on the Adriatic into your travels, or an extension down the coast to Dubrovnik! Enjoy the sunshine and welcoming culture of Hvar Island for a few days! You can see the beaches, soak up the sun, go hiking on the hills of the coastline, enjoy watersports, and even hire a car to take you on a private tour of the island! Your eleven-day journey will end with a trip from Hvar Island back to Zagreb, then onto Munich via the Alps, and finally home to London! Stay in four-star hotels in Turin, Ljubljana, Split, Hvar Island, Zagreb, AND Munich! Upgrade your holiday at any time to include five-star hotels, first-class train tickets, extra nights in each city, or a few nights more in Dubrovnik. Prices will include accommodations, but are also based on seasonal travel and your own personal requests. European landscapes are so diverse and so inspiring! Whether you’re traveling down the coastline of the sunny Adriatic Sea in Croatia, or your shaded by the snow covered Alps in Switzerland, there is a holiday that will take you away to some of the world’s most beautiful scenic views! What better way to really enjoy the splendor around you than from the comfort of a train holiday!